Back (and Forth) Across The Pond: Cub Fever! For everyone who is a Chicago Cubs fan, there's a narrative that follows the years of disappointment in their inability to get to the World Series. A college student who I was close to when I was chaplain at North Park actually chose to come to North Park because he wanted to be close to Wrigley Field! By now, anyone who pays attention to sports in the US knows that for the first time in 71 years the Cubs are returning to the World Series and have a chance to win it for the first time since 1908. That's a long time. 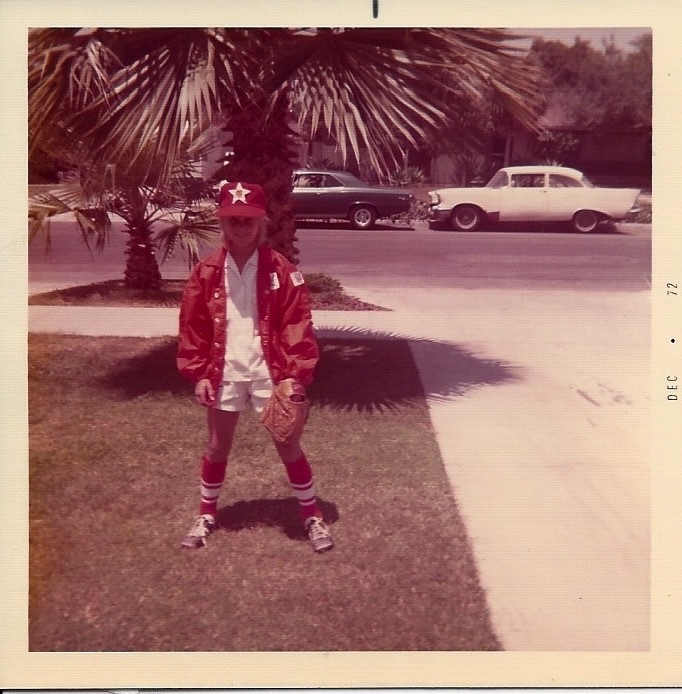 Now, for a southern California girl, some of you may be wondering where my fan loyalty to the Cubs comes from. My American League team has been and always will be the Angels, a team that also made me wait a long time for a Championship. 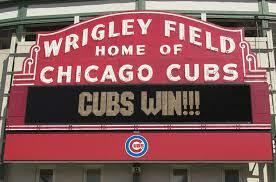 But in the National League, it has always been the Cubs. My maternal grandmother passed it along to my mom, who passed it along to me. I went to college and seminary in Chicago not far from the friendly confines of Wrigley Field so all in all, I come by it rightly. My dad, who grew up more of a Cardinals fan, came around to the Cubs through marital pressure and the fact that for some strange reason we got WGN, the Cubs broadcasting network, on our cable TV in California. Back in 1989, my first autumn back in Chicago after a 7 year hiatus, the Cubs won their division. I would get letters from my maternal grandmother telling me about how she'd go to Dairy Queen with her friends for a cone to celebrate each victory. After they won the division, I recall the most memorable letter of all from her. "If the Cubs win the World Series, I will dance in the street." This, from a woman who was 3 the year the Cubs actually won the series! 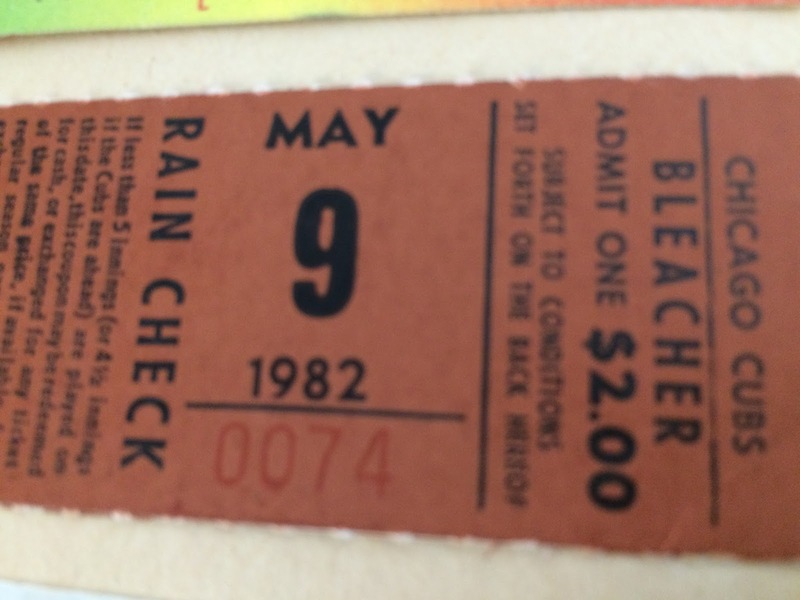 This ticket stub from a game just weeks away from my college graduation. 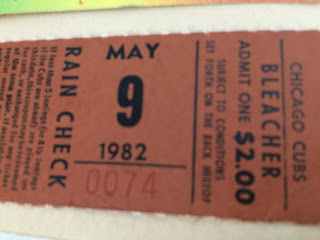 I remember trips to Wrigley as bleacher bums, cheap seats in those days, freezing our tails off because spring in Chicago isn't very warm! My parents and brother went to a game the weekend of our Chicago wedding and Doug and I spent our first anniversary at the friendly confines of Wrigley. 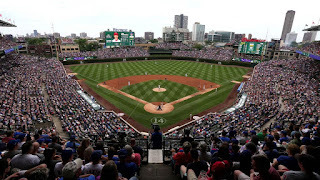 Wrigley is such a great, old time stadium, sitting in the very heart of the north side of Chicago at the cross streets of Clark and Addison. 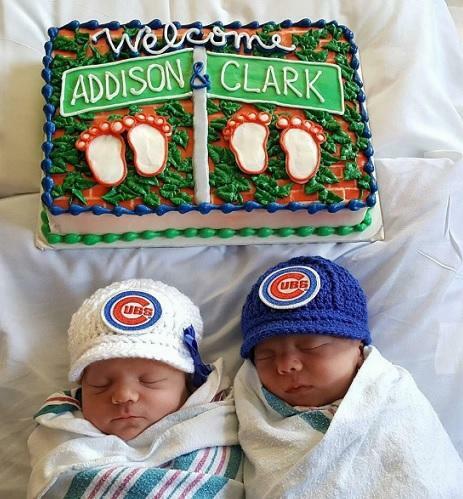 One family took this to heart by naming their twins the same. You could take a bus or the elevated train to the stadium. It's surrounded by pubs and restaurants and just the business of the city streaming by. It's always been considered the people's park. So win or lose, it was definitely fun to go to Wrigley Field. 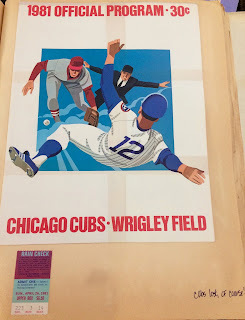 So for our first autumn in the US in 18 years, it has been an awesome wild ride to get on the Cubs train. Doug and I have watched more baseball in the past 2 weeks than we have in the past 18 years! It is a delight to catch the games in real time, not having to record and watch later, which is not nearly as much fun as watching the comments unfold on social media, or just sate ourselves with reading about the games. Baseball is a slow, lumbering game and for those who have not grown up with it, it seems like the most boring sport ever created. But for those of us who have loved the game since we were small, playing it, watching it, learning to keep score, developing player loyalty, taking on the persona of our childhood heroes in our street games, well, it really is as American as apple pie! 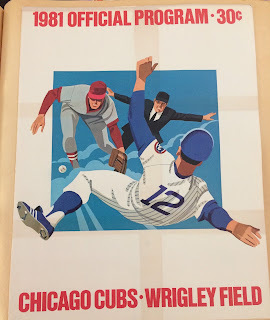 So tonight the World Series (yes, yes, I know, silly to be called World, when it's just the US and one team from Canada) kicks off with the Cubs facing the Cleveland Indians, another team that has not won the Series since 1948. Leave it to the Cubs to come up against another team and city that is dying for a baseball championship. It promises to be a barnburner. Finally, for those of you who join me in the long-suffering quest for a Chicago Cubs Championship, you really should take the time to read Doris Kearns Goodwin's 'Wait 'til Next Year'. 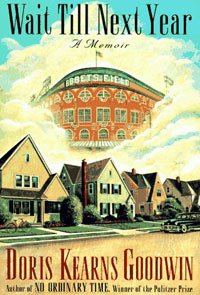 It is her baseball memoir of growing up an insufferable Brooklyn Dodgers fan. 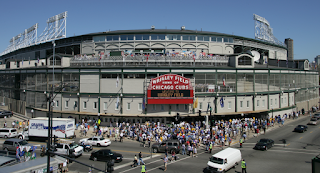 You can replace the Dodgers with the Cubs and likely find a great deal of resonance therein. I know what I'll be doing over the next week as the best of 7 games kicks off tonight. And I'm pretty sure my maternal grandmother and mother will be dancing in the streets of heaven along with countless others who didn't quite live long enough to see the Chicago Cubs capture the title that has eluded them for so many years.